The Archive became part of the British Library in 1983. The British Library Sound Archive (formerly the British Institute of Recorded Sound; also known as the National Sound Archive (NSA)) in London, England is among the largest collections of recorded sound in the world, including music, spoken word and ambient recordings. Peter Copeland began digitising the collection in the 1990s. In 1955, Patrick Saul founded the British Institute of Recorded Sound, after realising that material was in danger of being lost as the British Museum did not maintain a comprehensive archive. The Institute was located in a property owned by the British Museum in Russell Square (with rent and rates guaranteed by Robert Mayer), and supported by a donation from the Quaker trust in Birmingham. A public appeal resulted in the donation of thousands of shellac discs, which started off the collection. The British Institute of Recorded Sound became part of the British Library, which had been split off from the British Museum, in April 1983. It was later renamed the British Library Sound Archive. The metal masters originally collected by the British Museum were transferred to the Archive in 1992. 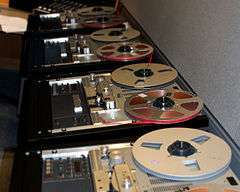 The Sound Archive holds an extensive reference collection of printed materials relating to recordings. The collection includes books and periodicals from around the world, a wide-ranging collection of discographies, and one of the largest collections of commercial record catalogues dating back to the early 1900s. A reference collection of playback and recording devices, including historic gramophones and record players, that chart the history of sound reproduction equipment. Photographs of some of these may be viewed online. In addition, the Sound Archive's engineering department maintains a wide selection of working playback tape and disc players for the purposes of digitising its sound collections. The Sound Archive provides a range of services. The Sound Archive's online catalogue of over 1.5 million recordings can be viewed at http://cadensa.bl.uk, and it is updated daily. Recordings may be listened to free of charge in the British Library Reading Rooms. Copies of recordings can be purchased subject to copyright clearance and spectrograms of wildlife sounds can be made to order. The British Library Sounds service provides free online access for UK higher and further education institutions to over 60,000 rare recordings of music, spoken word, and human and natural environments. 65% of these recordings are also freely accessible for public listening online. The British Library offers training workshops and events in oral history and wildlife sound recording, as well as audiovisual archiving internships. Playback, the bulletin of the British Library Sound Archive, was published free of charge from 1992 to 2010. All 44 issues are available online. A range of British Library CDs are available covering nature sounds, world music, historical speeches and recordings of famous poets, playwrights and authors. Theatre Archive Project Oral History strand. British Library Sounds free online access to over 60,000 sound tracks. 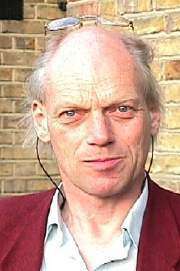 Peter Copeland Conservation Manager of the National Sound Archive/British Library Sound Archive from 1986 to 2002. National Life Stories, an independent charitable trust within the Oral History section of the British Library. ↑ "Save our Sounds". British Library. Retrieved 6 April 2015. ↑ "British Museum Gramophone recordings". British Library. 1 2 3 "About the British Library Sound Archive". British Library. Archived from the original on 7 February 2010. Retrieved 14 January 2011. ↑ "Radio recordings: jazz and popular music". British Library. Retrieved 29 July 2013. ↑ "Sound". British Library. Retrieved 29 July 2013. ↑ "Playback & recording equipment". British Library. Retrieved 6 April 2015.